When life gives you lemons, make hot dogs! Everybody is feeling the pinch these days: from the big bosses at the largest multinational corporations to the littlest CEO’s. Like any reasonable businessperson might conclude, the key to survival is diversification. In such a competitive market, it is advice every business can benefit from. Even the lemonade stand. You have to offer your customers something more in this economy, and what do people want? Why, hot dogs, of course! 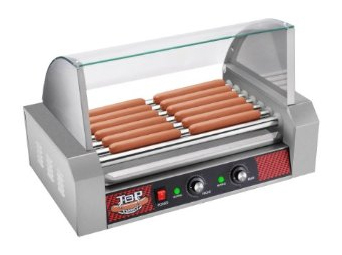 The TOP DAWG Commercial 7 Roller Hot Dog Machine With Cover by Great Northern Popcorn is your ticket to the better life through increased sales. Fierce competition is nothing to take lightly, and with a little capital expenditure now, the future can look both bright and tasty. 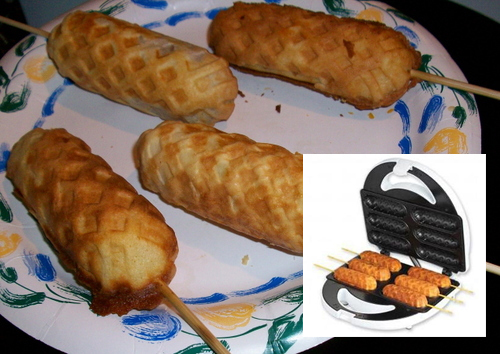 And hey, when the kids grow up, you got yourself a hot dog machine. See, economics can be fun! Or at least delicious. There are no ends to the possibilities when it comes to dressing up a hot dog. From sauerkraut and relish, to jalapeños and hot sauce, the ability to add a personal touch to the tube is one aspect that makes hot dogs so eternally popular. Add in the fact that the hot dog itself is available in a million different varieties, and practically every meat-eater out there is guaranteed a dog to their liking. 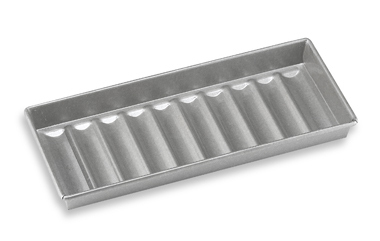 Now, it is possible to add one variation to each and every option out there, thanks to Wynder’s Spiral Hot Dog Cutters. It’s baseball season, which in turn means hot dog season has officially begun. 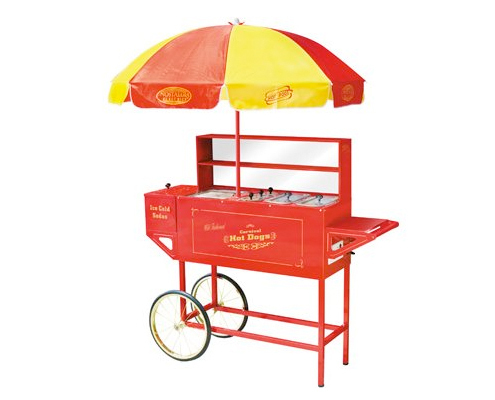 However, hot dogs spinning eternally on stainless-steel rollers are only but one way to welcome in the new season. It’s time for the grill to come out of hibernation, and a good idea might be to step up your grilling game while you’re at it. A simple way is to do it with smoke. 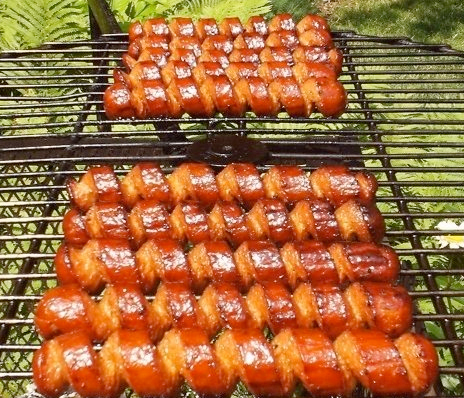 The Steven Raichlen Double-V Smoker Box gives grillers the ability to add complex flavors by imparting foods with not only smoke, but also liquids. 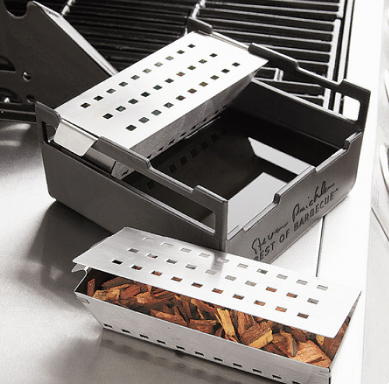 The double box construction allows for wood chips to be added to gas or charcoal grills, while the lower compartment is designed for adding juice, beer, wine or other flavored beverages. The traditional snap of a hot dog that accompanies the sound of baseball being smacked across the infield hasn’t usually included a palate-pleasing aftertaste of merlot or chardonnay, but hey, there’s always this year. The county fair may have come and gone, but that doesn’t have to be a reason to pull the plug on summer treats. Smart Planet CDM-1 Corn Dog Maker brings all the fun home, while leaving the sideshows and rigged games out on the midway.